Trac: Different Gravatars for the same user. Why does Trac show different Gravatars for the same user in the same ticket? meta-2483.png​ (57.1 KB) - added by SergeyBiryukov 2 years ago. 2483.otto42-wporg.PNG​ (76.6 KB) - added by SergeyBiryukov 2 years ago. 2483.otto42-trac.PNG​ (15.2 KB) - added by SergeyBiryukov 2 years ago. 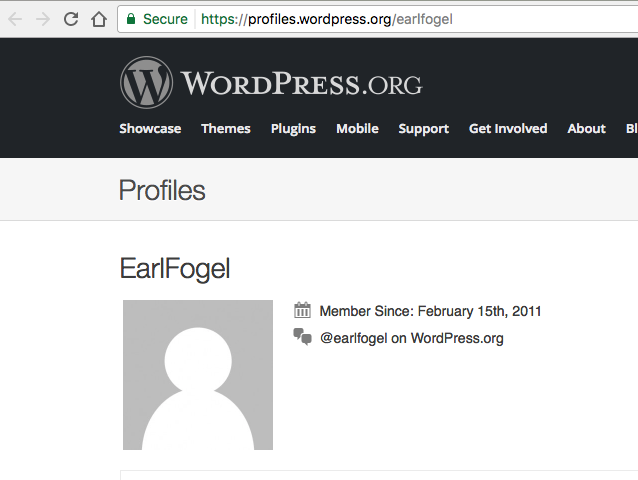 Could be related: @Otto42's WP.org profile shows a proper Gravatar​, while Trac shows a fallback image​. Trac doesn't handle gravatars correctly because of the way we're doing it. It's complicated and weird. This is actually a duplicate of #1462 and  should probably be reverted because dots are not allowed in user_nicename. Trac: Holy can of worms batman! Reverts  in favor of a more permanent solution in #1462.